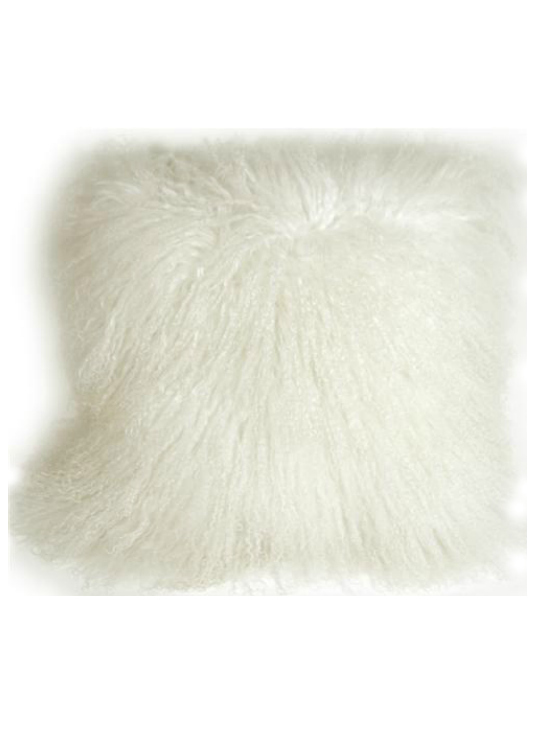 This decidedly luxurious pillow is made from Mongolian sheep's wool and is backed by an ultra soft faux suede in a matching color. The pure white of this pillow will coordinate beautifully with white leather sofas and crisp white linens. The delightfully soft texture of this exclusive wool creates a powerful visual statement. Lifted by the slightest breeze the incredibly soft hairs dance lightly, entrancing any passerby. Its touchable and inviting look will add a dynamic yet soft and approachable element to your space. This natural wool pillow's generous proportion and amazing texture make it a centerpiece to any room.